Let us take a vision of October’s energy flows. As written in a previous post, we have just come out from the immense portals of 999 in September to be taken by the New Moon in Libra on 10/01 into the Path of Balance and Equality (key-words of Libra). Our evolutionary path is taking us face to face with our deepest fears, such as, for example, Death. What threatens a human more than death and loss? All of us are getting close to these concepts in everyday life, all of us. Common People, Researchers, Light Bearers, Light beacons, we are all facing our own Truth, and this is requiring a total honesty, the great gift we receive when feeling the courage of giving up resistance. In that moment we are getting rid of our masks and tenderness and strength, and vulnerability and presence arise from within us. No need to write many words of interpretation. In front of the Great Silence we can only learn what Dignity is, the humble majesty we cradle inside, our everyday-hero self. The Path of Balance and Equality started on 10/01 with the New Moon in Libra – a chance to heal our relationships or to focus why it is so hard to stay in a relationship or even to find a partner. What is requiring a death in this case is our Ego (judgment and victimization). Cardinal Signs are giving shape to a Cross: Cancer and Capricorn are the Soul Portals between the worlds. Their axis goes from Earth to Heaven, from Imum Coeli in Capricorn (cusp between III and IV House – the starting point from which you are moving to find the resolution of an old problem), where Mars joint Pluto represent the strength of the past that makes its way in to be loose and let go of once and for all. Past and its consequences in our life can be seen now. We are no longer blind in front of the manipulations of our own ego. We can be open to awareness in this Soul Journey towards Medium Coeli, at the top, between the IX and X House in Cancer. Lightheartedness is the gift, letting go of the old soul agreements that kept us anchored to situations that now have been destructured by each crucial step during the 999 Portals. Free from the shackles of the past. 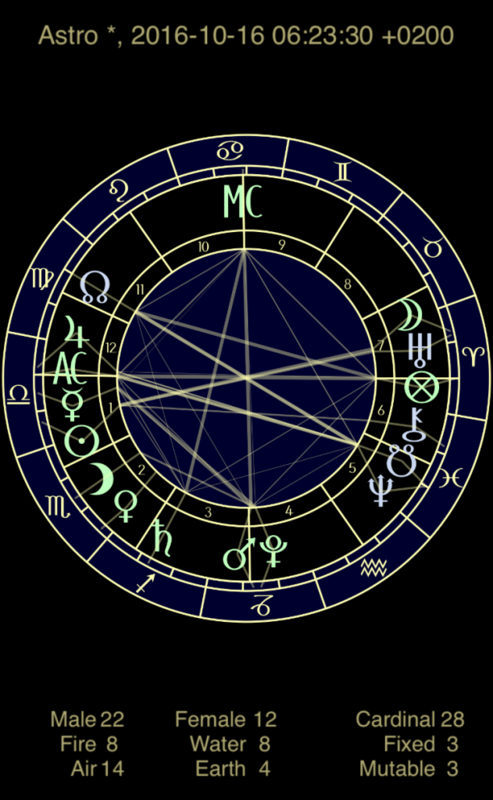 A double-cross opposition is balancing these deep issues, and it is involving the Axis Virgo-Pisces, where the Collective Consciousness is developing its lesson, thanks to the presence of the Lunar Nodes, and Aries-Libra, where the Full Moon is facing the Sun. Aries and Libra are the other two polarities of the Cardinal Cross. All these planetary influences are building up a way that lead us to a deep integration of sorrow and joy, tears and laughers, light and darkness. We are stepping towards a Sense of Unity like never before. Thanks to us, thanks to our will to heal. Although not everyone of us is used to sail through the Oceans of our Soul, this is chance to pay attention to a certain feeling coming from our depths, from our Core. Isn’t your chest expanding? Cant’t feel an unspeakable joy, even if outside life is not going so great? This is the healing brought about by the October energy. We can be Explorers of our Sacred Heart, each one of us in our own way is learning how to feel at home there.